A deer grazed on lush grass in a forest clearing. Around her, early morning mist clung to the tops of the spruce and fir trees common to Montana’s Custer National Park. Her ears twitched as the distant screech of a Merlin falcon carried to her in the still mountain air. The deer looked up, but mist concealed any view of the small and relatively rare bird of prey. She resumed grazing. The deer wasn’t to know, but her remaining lifespan could be measured in minutes. Two hundred yards downwind, an unusually large hunting party approached. This was a hunting party with a difference. Only one of the hunters was armed – their leader, Tommy Kentbridge; the others were all children ranging in age from ten to twelve. Male and female, they were of various racial backgrounds. Following Kentbridge, they walked silently in single file along a forest trail. A tall, powerfully-built man in his mid-thirties, Kentbridge moved effortlessly across the hilly terrain. In his wake, the youngsters had to scramble to keep up. Muddy underfoot conditions added to their difficulties. Despite the challenges posed by keeping pace with their fast-moving leader, the children were doing admirably well. Their faces were flushed with excitement. Kentbridge, who earlier that day had transported the kids from Chicago’s Pedemont Orphanage, kept one eye on his charges as the trail took them along the edge of a cliff. He noted with satisfaction not one of them seemed fazed by the thousand foot drop. They appeared to cope with the danger with all the poise of adults, or of young adults at least. As he continued to observe the orphans, Kentbridge’s keen eyes missed nothing. A head count confirmed all twenty three were still with him. Strangely, he only ever referred to them by numbers. The oldest child was Number One, the youngest Twenty Three. Directly behind Kentbridge, following like a shadow, was a serious-looking, twelve-year-old boy. 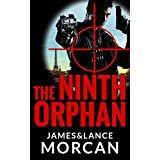 Number Nine, who was the ninth-born orphan, had startling green eyes that seemed all-knowing and gave him a maturity beyond his years. Nine’s intelligent face was framed by dark, wavy hair. He wore a silver necklace. A ruby dangled from it, bouncing on his chest as he walked. The exquisite stone gave off a blood red glow in the sunlight. A slightly younger, blonde-haired girl followed close behind. Number Seventeen was, of course, the seventeenth-born orphan. She surveyed the world through icy-blue eyes. Those same eyes were now fixed on the center of Nine’s back. It irked the competitive Seventeen that Nine had ensconced himself between Kentbridge and herself. She felt like she was always following in the boy’s footsteps. Kentbridge slowed momentarily as the trail took them away from the cliff-top. The screech of a Merlin falcon attracted his attention. Just as the mist had concealed the falcon from the deer’s view moments earlier, it also concealed the falcon from Kentbridge’s view. Some sixth sense prompted Kentbridge to unshoulder his rifle – a powerful, semi-automatic, military-issue weapon which he handled with the familiarity of a sniper. The orphans’ leader suddenly froze. Behind him, the children became motionless also. A hundred yards upwind, a beautiful deer stood grazing, superimposed against the green foliage. She continued to graze, unaware humans were in the vicinity. Kentbridge flashed military-style hand signals to his young charges. In unison, the orphans dropped to the ground. Close behind Kentbridge, Nine and Seventeen watched in awe as their leader sunk down onto one knee and aimed his rifle at the deer. At the last second, he lowered his weapon a fraction then fired. The shot shattered the silence. The deer went down. The orphans and their leader raced over to the deer to discover she was not yet dead. On her side, the deer was trembling and white foam covered her nose and mouth. The foam turned pink then red as her inner organs reacted to the trauma caused by one not-so-well-placed bullet. Her breathing came in short rasps. The dying animal pawed the air with her legs as the orphans crowded around her. Kentbridge handed his rifle to his shadow, Number Nine, and nodded toward the trembling animal. Of all the orphans, Nine was his most brilliant pupil. He was stubborn and defiant, but also highly intelligent. In many ways he reminded Kentbridge of himself. The other twenty two orphans felt varying degrees of jealousy as they watched Nine psyching himself up to carry out their teacher’s order. Although very intelligent and gifted in their own right, the others sensed Nine had some indefinable X-factor that gave him an edge over them. It set him apart and they knew it. 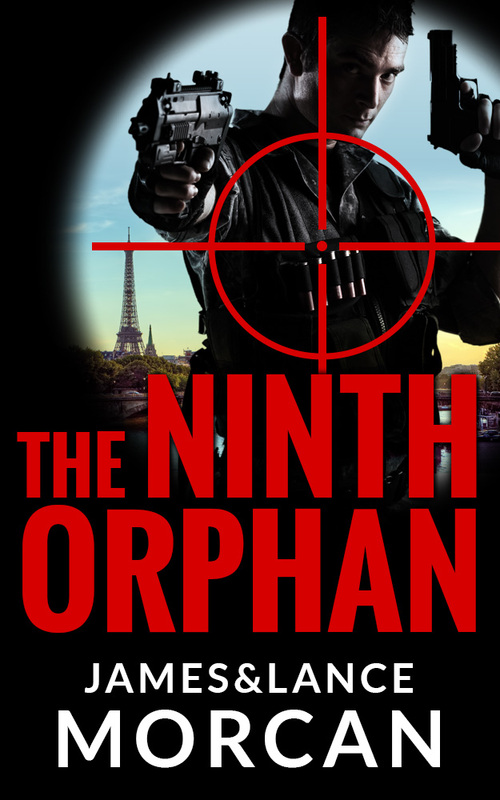 Not even Kentbridge could say exactly what it was that gave the ninth-born orphan the edge. It wasn’t as if Nine was necessarily smarter than the others. He just seemed more sensitive and maybe that, Kentbridge reasoned, was where the boy’s genius lay. Nine appeared to feel life so deeply at times it was as if he had an extrasensory awareness. Indeed, Kentbridge knew that kind of heightened consciousness, or right-brained intuitiveness, was the common element among all great thinkers. It was the mental frequency he hoped all his orphans would eventually operate at. Cradling the rifle which was almost as long as he was tall, Nine looked down at the deer and prepared to put the animal out of its misery. The others watched intently as he lifted the weapon to his shoulder and took aim. Through the rifle’s scope, he saw the deer’s terrified eyes staring back at him. The boy hesitated. “Finish the mission, Nine,” Kentbridge commanded. Nine looked up at his master then returned his gaze to the deer which was now twitching violently. “That’s an order!” Kentbridge said, raising his voice. Nine was feeling increasingly traumatized. Seventeen shuffled close behind, as if encouraging him to hand the weapon to her. Unable to do the deed, Nine lowered the rifle. Seventeen was delighted. She’d been waiting all her life for an opportunity to outdo Nine. However, she hid her delight as she expertly raised the rifle and took aim. Unable to watch, Nine walked away from the scene. As he did, Kentbridge observed the boy had the same haunted look the deer had at that very moment. A single shot rang out, its echo rebounding off the surrounding hills. The sound reverberated in Nine’s head, like a jackhammer inside his brain. Without looking back, Nine walked deeper into the forest. He began to cry as he internalized the deer’s pain. Almost without realizing, Nine touched the ruby that hung from his necklace. As always, for no apparent reason, its touch brought him comfort. For our ‘Shameless Marketing’ post of the month, we’d like to invite all Tweeters (Twits?) to follow us on Twitter. Our Twitter ID is: @SterlingGate (named after our publishing co., Sterling Gate Books). Two quirky romantic comedies explore Hinduism, Christianity and multiculturalism. Not only did Morcan play starring roles in Love You Krishna and My Cornerstone, he also wrote the screenplays which incorporated English and Hindi. Both films were produced and directed by Indian-Aussie filmmaker Stanley Joseph, of World Pictures Australia, and were inspired by many of Joseph’s own experiences as an Indian migrant in Australia. They are quirky romantic comedies exploring Hinduism, Christianity and multiculturalism. In Peter Jackson style, the films were shot simultaneously – a decision which Morcan says nearly broke the production team. “Shooting two movies at once is an extremely rare undertaking and everybody in our incredibly talented crew was stretched to the limit. To be honest, we almost bit off more than we could chew,” says Morcan. Morcan’s previous films have screened at cinemas in Italy, Australia and France. His career highlights include roles in the Australian independent feature film The Pawn and acting alongside Russell Crowe in Ben Hur: The Stadium Spectacular, at Sydney’s Olympic Stadium. He was also executive producer of the recently released New Zealand feature film Desired, which premiered at Cannes Marche du Film in France. 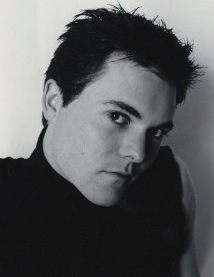 Aside from his film work, Morcan is also a novelist and co-writes with his Bay of Plenty-based father Lance Morcan. The pair have written four published books including the controversial thriller series The Orphan Trilogy and the historical adventure Fiji: A Novel. Their production company, Morcan Motion Pictures, is also developing feature film adaptations of the novels. Love You Krishna and My Cornerstone were shot in Mumbai, India and NSW, Australia and are currently in post-production. They are expected to be released internationally later this year.